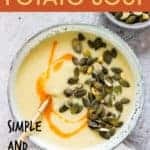 If you’re looking for a delicious soup recipe for your Instant Pot, try this hearty and delicious Instant Pot Potato Soup. It comes together in just a few simple steps. Suitable for vegan and gluten-free diets. Post includes Weight Watchers points. I admit I’ve found myself a little fascinated by the Instant Pot story. It was launched in 2010, started to take off in 2014, but became a viral sensation by the end of 2016. Now everyone wants – no, needs – an Instant Pot. 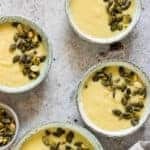 I would like to think everyone also needs a delicious Instant Pot soup recipe – namely Instant Pot Potato Soup. 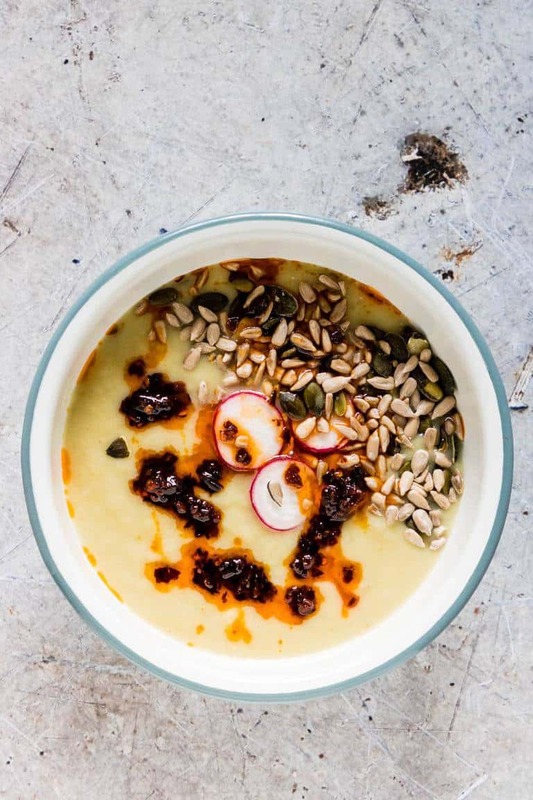 This is a really lovely soup that is perfect for the cold weather. It’s comforting and warming, creamy and filling, and, as you might guess, very easy to make. 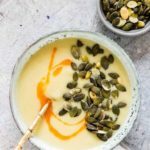 Instant Pot Potato Soup is gluten-free, vegan, and Paleo: It contains no gluten or animal products. Paleo dieters may want to use sweet potatoes instead of white potatoes. Cow’s milk can be used: If you don’t follow a dairy-free diet, feel free to use cow’s milk instead of almond milk. 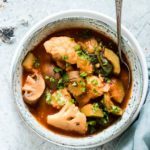 This Instant Pot soup is perfect for meal prep: It is the perfect ‘make ahead’ soup because it freezes well. (I have two full batches in my freezer – I like to be prepared). You can swap the potatoes for other options: I photographed this soup with white potatoes, but you can use any potatoes of your choosing, or even other starchy vegetables. Sweet potatoes would substitute well, as would root vegetables. Ready for me to show you just how quick and easy it really is? Then let’s get started….. Step 2. Add the leeks and sauté till soft, about 5 mins. Step 3. Add potatoes and cook for a couple of mins. Step 4. Next mix in vegetable stock, nutmeg, and seasoning. Step 6. Press the ‘Manual’ button and set the timer for 10 mins. Step 7. After it’s done, let the pressure release naturally over 10-15 mins. Step 8. 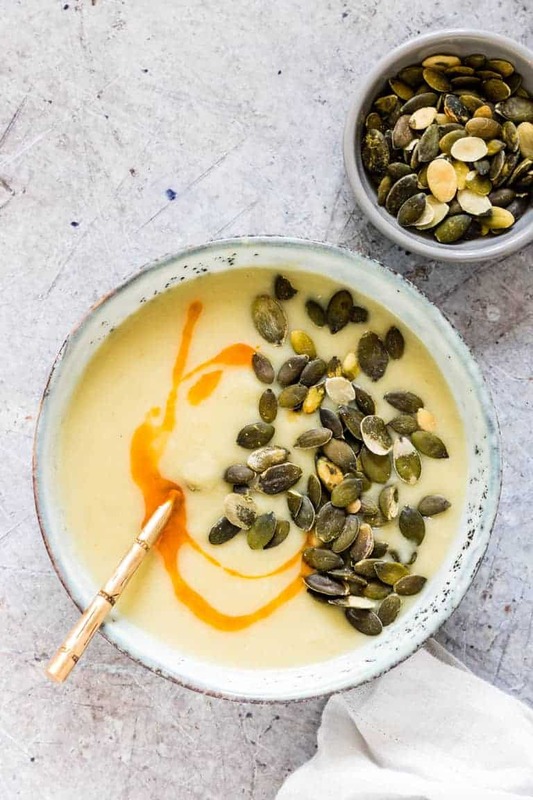 Add almond milk and blend soup into a puree with a hand-held blender (stick blender) or pour the soup into a regular blender and blend it there. Step 9. Add seasoning and serve in bowls topped with chilli oil or seeds. Why Leeks In This Instant Pot Soup? They go with nearly everything (except maybe ice cream). They’re easy to find in almost every supermarket or greengrocer. Preparation only requires washing and chopping. 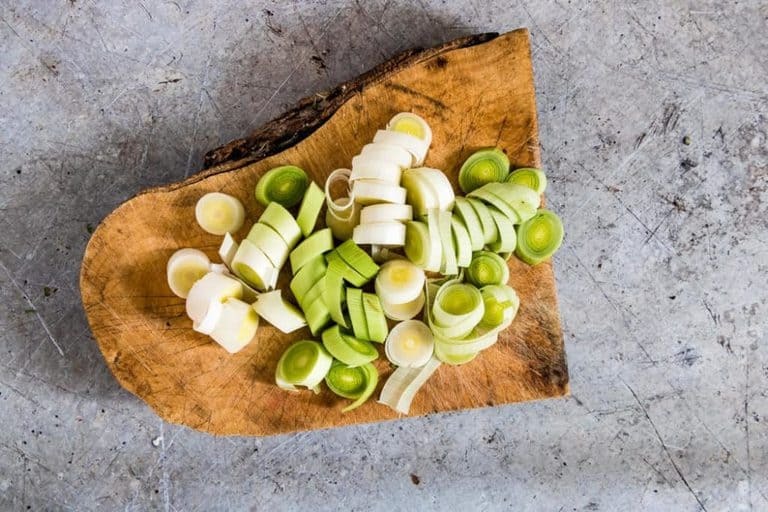 Leeks are an excellent source of Vitamin K (very good for you). Try this Instant Pot Potato Soup and you’ll understand why I love leeks. You can easily make this Instant Pot Potato Soup With Bacon. All you need to do is add in some chopped cooked bacon along with the vegetable stock and that is it. Yeap you certainly can Instant Pot Potato Soup with milk. Just swap the almond milk for some milk instead. What’s The Best Potato For Potato Soup? To make potato soup you can use Red Potatoes, Yukon Gold and russet potatoes. Do use a stick blender to mix the soup if is separates. There are just 2 Freestyle Points in a serving of this Instant Pot Potato Soup. I have got your back. 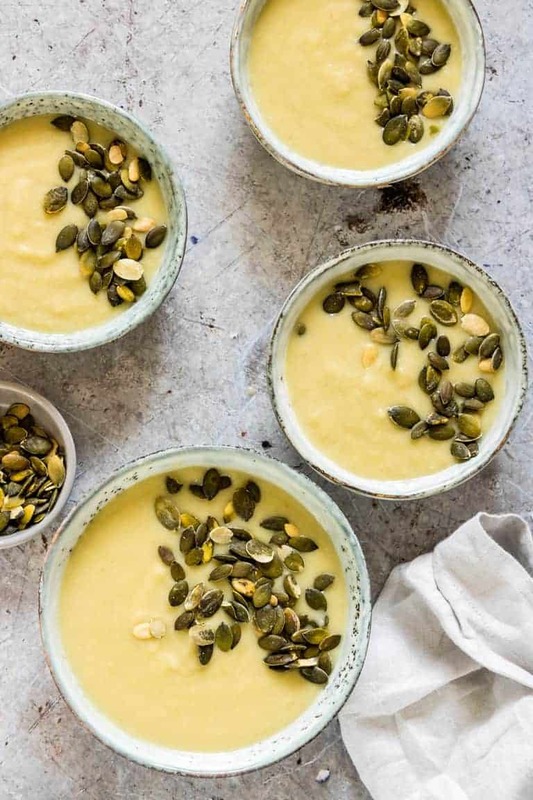 Try these 40 + Instant Pot Soup Recipes. 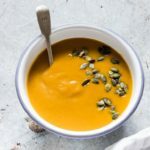 And if you just want some soup then why not check out this Spicy Slowcooker Bean Soup and this beyond easy 4 ingredient Borscht Soup from Little Sunny Kitchen. 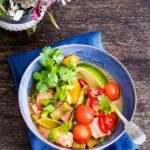 For everything you need to know about the Instant Pot, check out my post: Instant Pot Review – The Ultimate Guide to the Instant Pot. Thank you for reading my Instant Pot Potato Soup recipe post. And please come visit again as I continue dreaming up recipes, traditional African recipes, African fusion recipes, Sierra Leone recipes, travel plans and much more for you. Don't forget to tag #recipesfromapantry on Instagram or Twitter if you try Instant Pot Potato Soup! It is really, really awesome for me when you make one of my recipes and I'd love to see it. You can also share it on my Facebook page. Please pin this recipe to Pinterest too! Thank you for reading Recipes from a Pantry. Press the sauté button on the Instant Pot. When the display reads Hot, add the oil. When hot add the leeks and sauté for about 5 mins till soft. Add the potatoes and cook for a couple of mins. Mix in the vegetable stock, nutmeg and seasoning. Put the lid on the Instant pot make sure the steam release part is pointing to sealing. Press the manual button and set the timer to 10 mins. Cook and once done release the pressure naturally over 10- 15 mins. 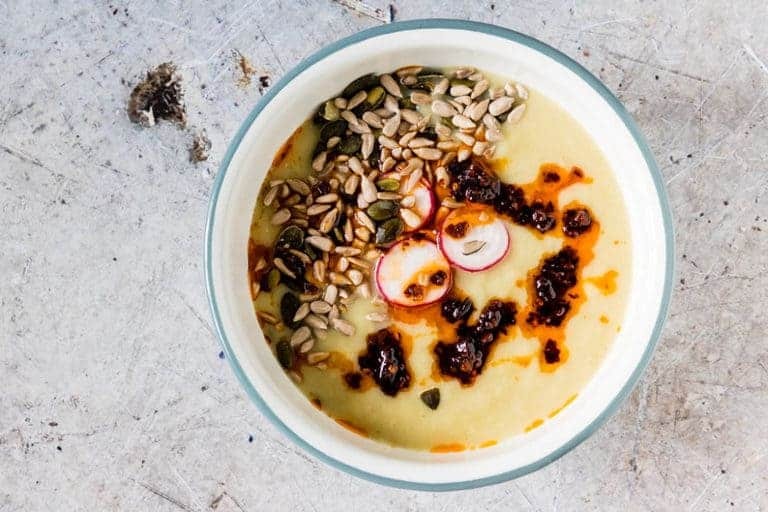 Adjust seasoning and serve in bowls topped with toasted seeds or chilli oil. 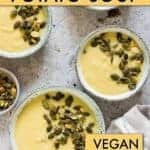 Instant Pot Potato Soup is gluten-free and vegan. It contains no gluten or animal products. Paleo dieters may want to use sweet potatoes instead of white potatoes. I love my Instant Pot! 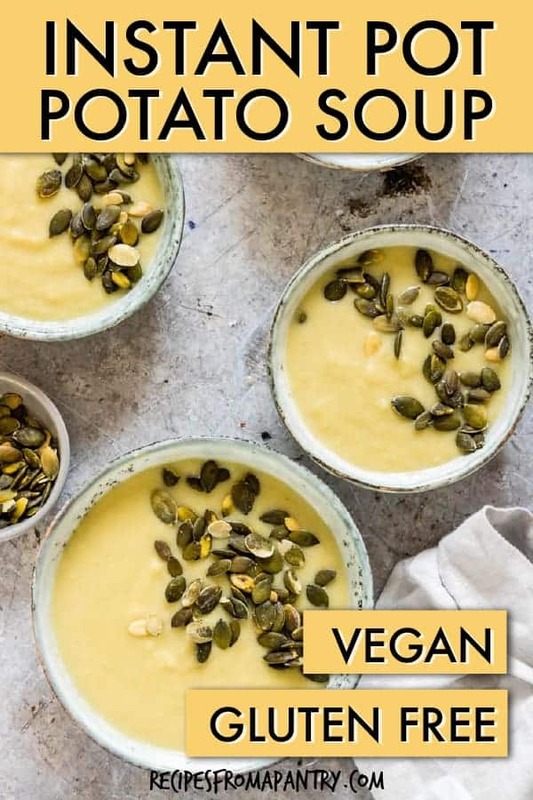 I haven’t made potato soup yet so I need to try this recipe! I am still figuring out my pressure cooker. I have a different brand, but it certainly makes cooking a breeze! Wow! That looks fabulous! I wish I had a bowl right now! I am seeing so much about instant pots, mainly on American blogs, and I really want to try one. This looks like a great recipe to make in one. I got an Instant Pot for Christmas last year, but never really broke it out. I’ve got to get on the bandwagon! Oooooooh, you HAVE to break it out. Oh man, you have me Homer Simpson drooling over here! I ADORE potato and leek soup! I haven’t jumped on the Instant Pot bandwagon yet, but from what I hear, I’m missing out. I just asked for one, for Christmas (heheheheh). Anyway, your photos are awesome and your recipe looks amazing! I hope I get an IP so I can try it!!! Hahaha – I totally Homer Simpson drool too. Am I missing the freestyle Points? I really want to try this but…. 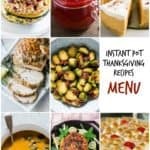 I have the instant pot duo, what setting do you suggest I use and how long do I cook it for? The IP duo doesn’t have that lovely manual button.